You are here: Home / Newsletters / Newsletters | Myanmar / Pastor J's newsletter / MYANMAR | Pastor Joseph again reaches out to those in unreached people groups. 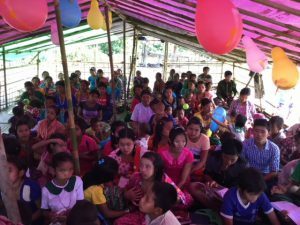 MYANMAR | Pastor Joseph again reaches out to those in unreached people groups. During December, Pastor Joseph, one of our four ministry leaders in Myanmar, and a ministry team travelled to share God’s Word with unreached people groups in Myanmar. We started our trip to Rakhine State, Maygon Division and Yangon on December 7, 2017 and ended it on December 29, 2017. I am excited to report about how the Lord God is moving on unreached peoples’ groups in Myanmar. The trip was blessed with fruit by God. By God’s power we reached Lai Tu, Dai and Chin Pum people for the Lord. We were very blessed with the hunger and thirst of these people for the Word of God. Praise the Lord with us. 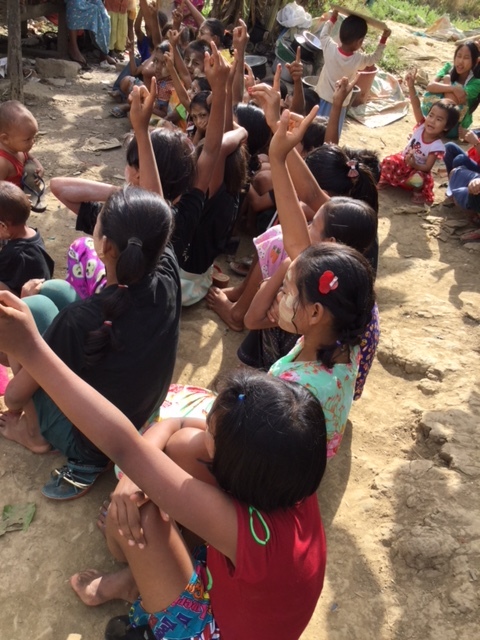 We preached the gospel in 10 villages. We provided second-hand clothing, medicine and food. We preached the gospel to 420 people and seven people were baptized by me. The new believers were Buddhist. Some people received healing by the power of the Holy Ghost. Many of them opened their hearts to the Lord Jesus. Forty-seven children received Jesus as their Savior. Christmas was the best time to reach out to the unreached people groups. Some religious leaders did not allow us to preach the Gospel where is such need for it! There is a great opportunity for us to show God’s love and His redemption to His people if we act now. It is more important than ever that we do everything possible to bless, encourage and help the unreached people. Together, we can help. Your prayer and support help us increase our efforts to feed hungry people during a great time of need. 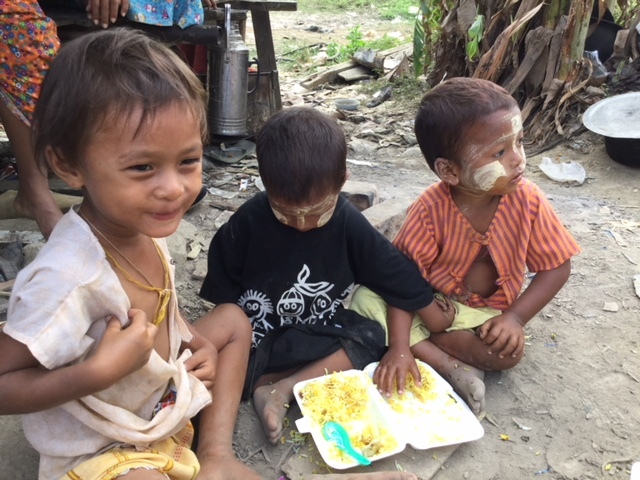 Your support allows us to continue our work in Myanmar, to stand up and speak out for unreached people and to meet urgent humanitarian needs among the poor, unreached people living in Myanmar. The work that we are doing to bless the survivors in Myanmar is a testimony to the entire nation and the Word is spreading.